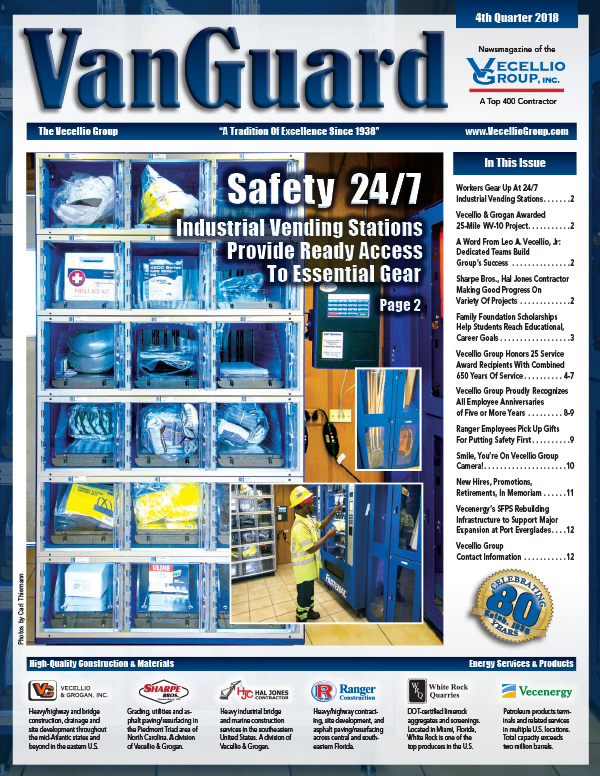 The Vecellio Group’s VanGuard magazine and an energy division marketing brochure have been named five-time winners in the 2009 Communicator Awards, hosted by the International Academy of the Visual Arts. Packed with articles and photos, the magazine showcases the Group’s operations, projects, safety programs and personnel highlights, and is distributed both internally and to a wide range of external audiences. The award-winning issue included a host of Ranger Construction roadway, site development and asphalt resurfacing projects for the public and private sectors. The Group’s print and electronic communications have received dozens of awards and recognitionsover the past decade, with Communications Director Carl Thiemann leading the creative work.